My first LIVE online artwork sale! I will be hosting this live sale event tomorrow evening via my Facebook Page (UK time) at 7pm-9pm (Tuesday, 17th June). You are ALL invited to join me and as you drink a glass of wine or cup of tea, you can enjoy browsing through some of my original artworks that are for sale. Most pieces are about 30+% off! The prices are valid only whilst the sale is live though - just for TWO hours! This is a really great opportunity for purchasing some one of a kind, signed original artwork for your home or as a present for a loved one. Below are the paintings that will be available via my etsy shop: Below are the prices and other details in connection with this live worldwide online artwork sale! 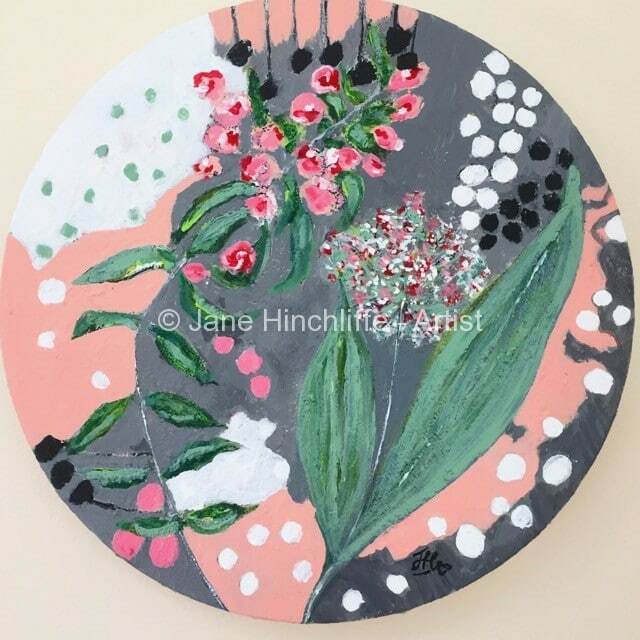 Jane's 1st Virtual Art Market SALE! I've thought for a while now, that it would be nice to put together a video once per month with up-to-date news on artwork, any sale items and discounts, ecourse info., coaching info., in-progress commissioned artwork and favourite art products, current inspiration etc. I'm calling it Muse News and so here is the first installment for June. June: Muse News from Jane Hinchliffe on Vimeo. So, please put the date into your phone, on your calendar and by all means let your friends or loved ones know too. Might be an idea to make yourself a cup of tea, or enjoy a glass of wine whilst purchasing some lovely original artwork. Here is my Facebook page and the event page so that you don't miss a thing! By following the link, you will find information on the artwork pieces that will be available that night. Prices will be added to the page shortly. Here is a link to my Etsy Shop, should you wish to look at these pieces in detail prior to the event. If there are any pieces unsold after the event, they will return to their original price - so if you are interested, it might be an idea to get them at a great price during those 2 hours on June 17th.